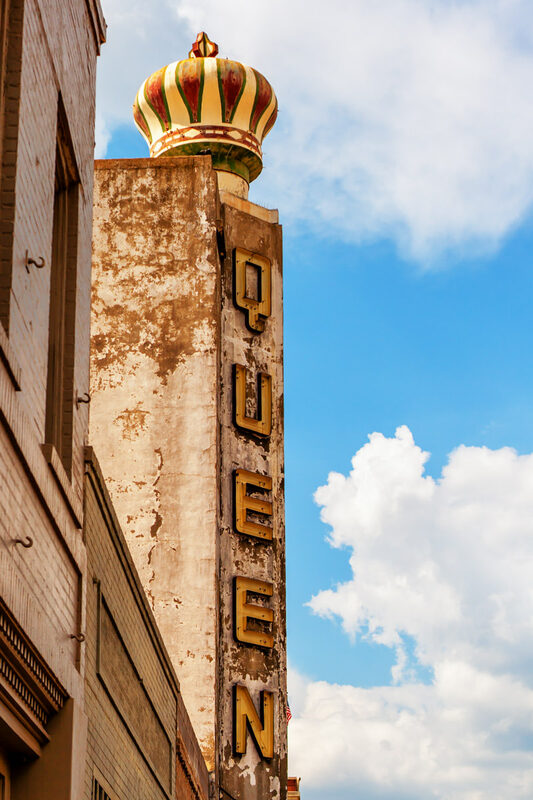 The sign of the decayed Queen Theatre in Downtown Bryan, Texas. 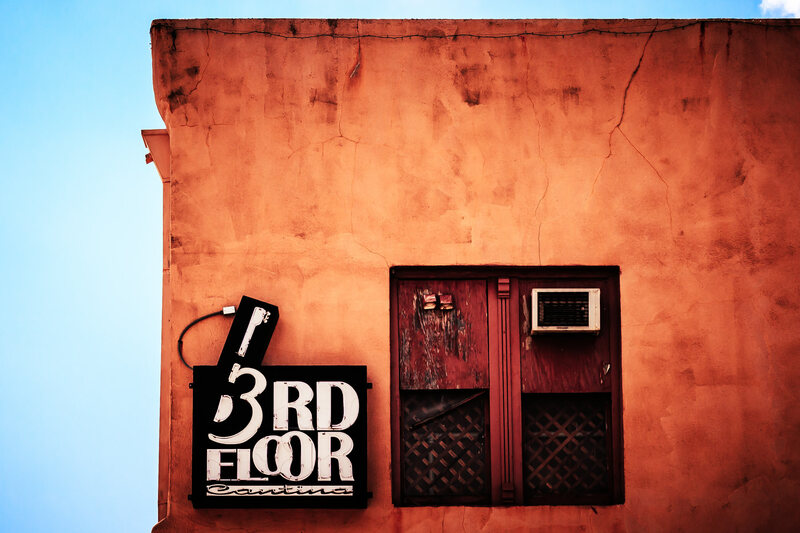 The 3rd Floor Cantina—a live music venue—in Downtown Bryan, Texas. 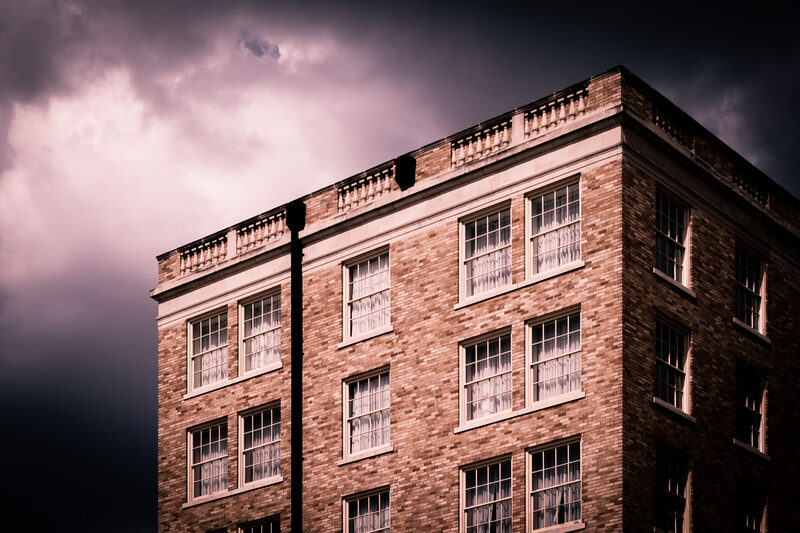 Storm clouds brew over an old building in Downtown Bryan, Texas. 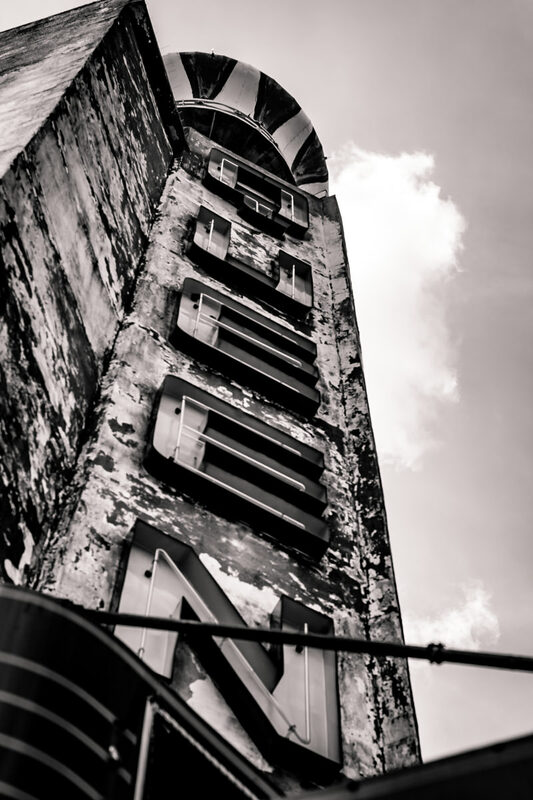 The dilapidated Queen Theatre in Bryan, Texas. 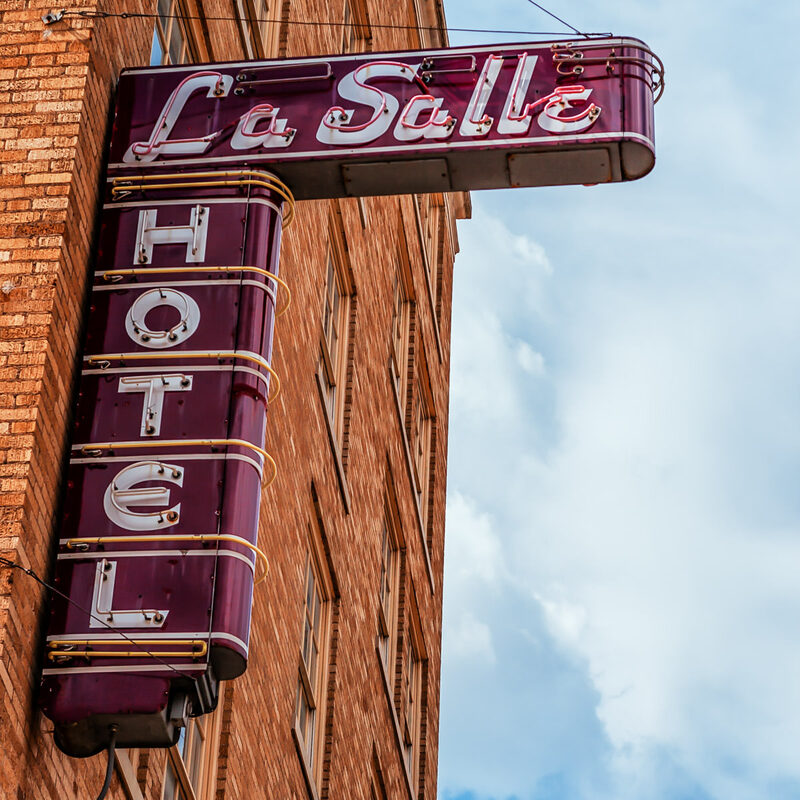 The sign of the La Salle Hotel in Downtown Bryan, Texas. 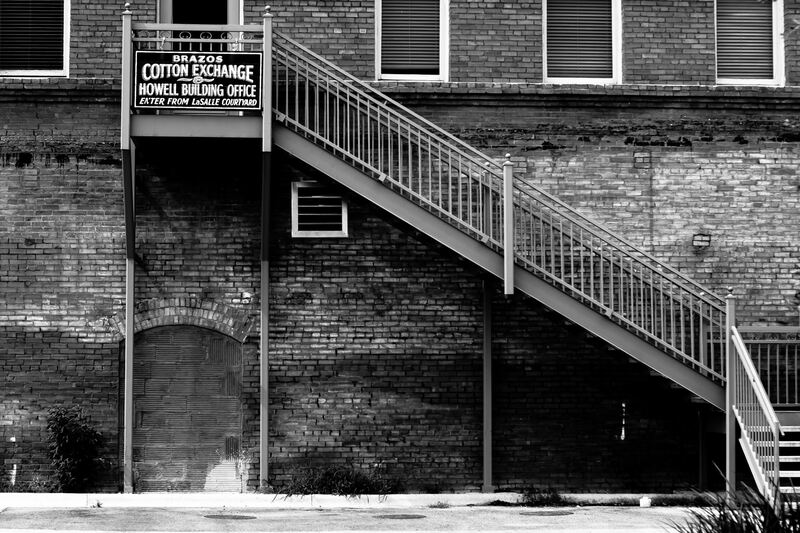 Stairs leading to the back entrance of the Brazos Cotton Exchange, Bryan, Texas. 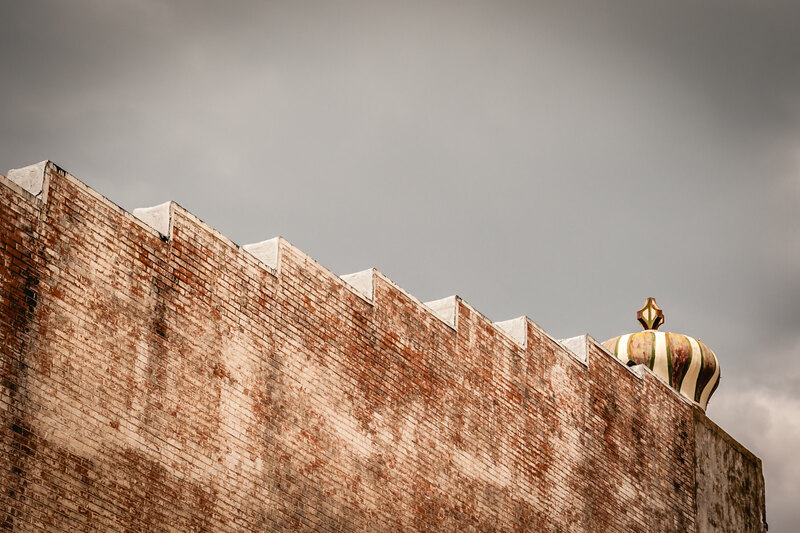 The side of the abandoned Queen Theatre in Downtown Bryan, Texas.